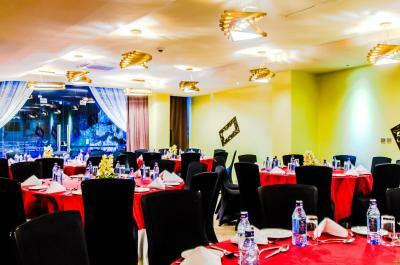 Lock in a great price for Azure Hotel Nairobi – rated 8.2 by recent guests! Immaculate service by the staff. Specially the lady at the reception on the night.. wonderful.. thank you once again!! 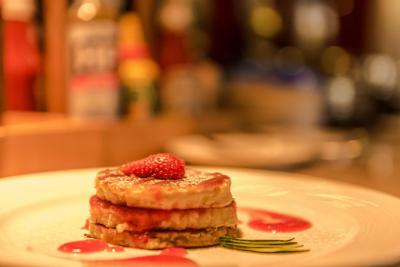 The breakfast was great as was dinner. 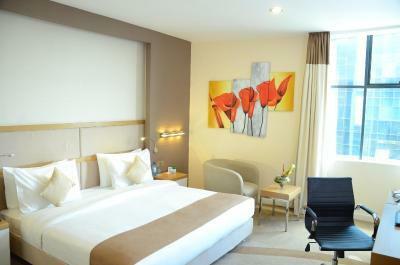 The room was comfortable and quite and well maintained. 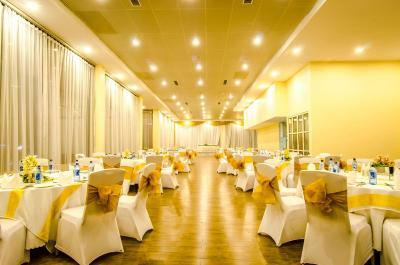 The location is great and safe and had easy access to most areas for business. The management needs to look into the hotel properly. Rooms are very dirty + beds are in very bad shape. Food was good. Staff was friendly. Room was average. The hotel serves delicious Indian food. 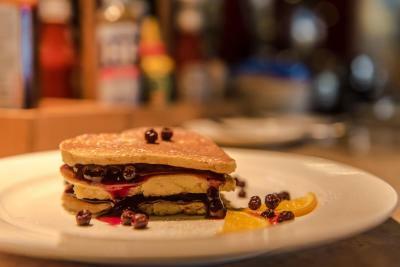 Even the breakfast is excellent. The location is nice .Rooms are spacious. The location is excellent. 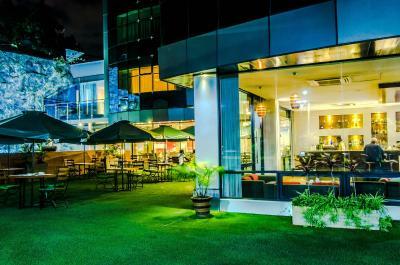 I like Westlands because this is the place to be in Nairobi. I really like the hotel staff. They certain present a great image of the hotel. The breakfast was really good. Azure Hotel Nairobi This rating is a reflection of how the property compares to the industry standard when it comes to price, facilities and services available. It's based on a self-evaluation by the property. Use this rating to help choose your stay! 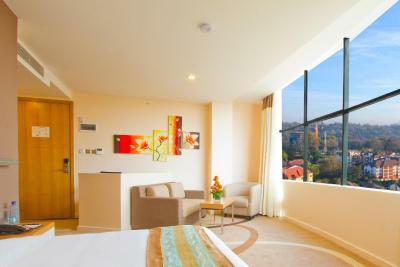 One of our top picks in Nairobi.Azure Hotel Nairobi is within 2.8 mi from the central business district of Nairobi. 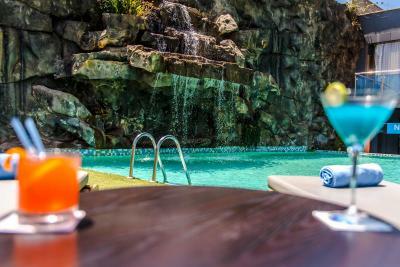 Free WiFi is available in public areas and there is an outdoor swimming pool, fitness center and bar. Decorated in natural colors, the air-conditioned rooms come fitted with a fireplace, flat-screen satellite TV and mini-bar. 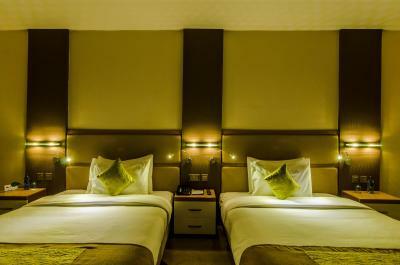 Extras include a safe and each room has an private bathroom with a shower and free toiletries. 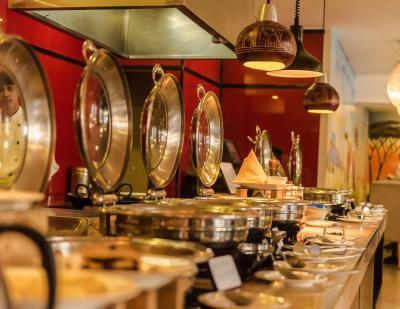 At Azure Hotel Nairobi you will find an à la carte and buffet restaurant serving a variety of dishes. Guests can relax in the shared lounge, or enjoy a drink at the bar. The tour desk can assist guests with arranging excursions or a shuttle service. 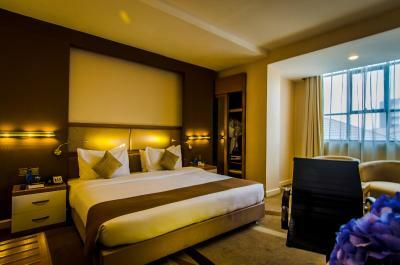 The hotel is 2.8 mi from the Yaya Shopping Center and 13 miles from the Jomo Kenyatta International Airport. 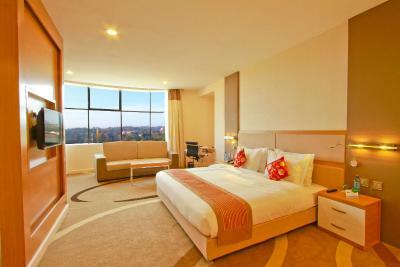 When would you like to stay at Azure Hotel Nairobi? 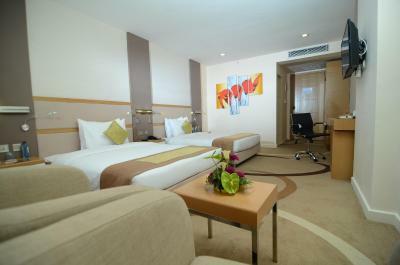 This air-conditioned double room features a flat screen TV with satellite and cable channels. 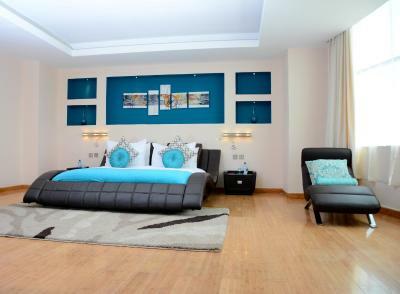 Guests can make use of the electric kettle, mini-bar and ironing facilities available in the unit. 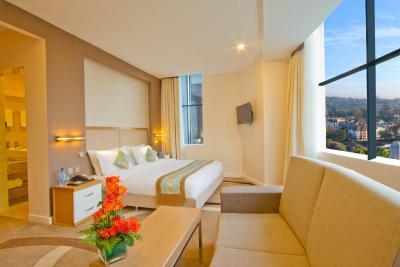 The room also enjoys views of the city. The room is fitted with a wardrobe and desk. It is complete with a private bathroom with free toiletries. 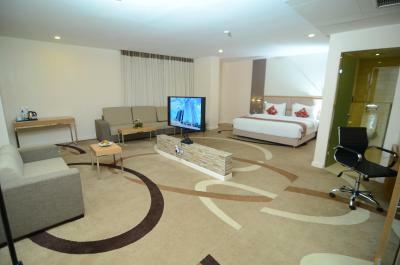 This air-conditioned king room features a flat screen TV with satellite and cable channels. 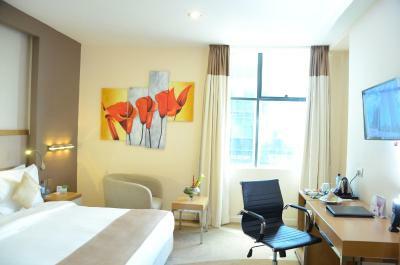 Guests can make use of the electric kettle, mini-bar and ironing facilities available in the unit. The room also enjoys views of the city. The room is fitted with a wardrobe and desk. It is complete with a private bathroom with free toiletries and a bathrobe. 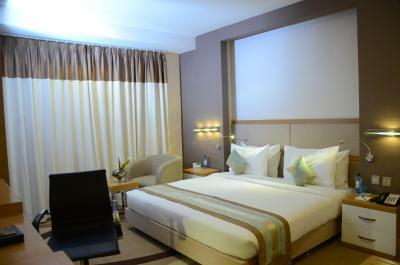 This air-conditioned twin room features a flat screen TV with satellite and cable channels. Guests can make use of the electric kettle, mini-bar and ironing facilities available in the unit. The room also enjoys views of the city. 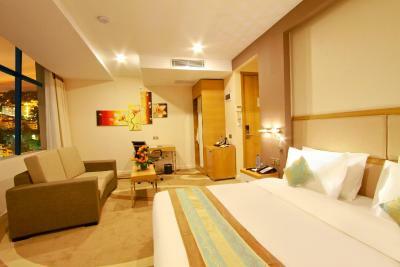 This air-conditioned deluxe room features a flat screen TV with satellite and cable channels and sofa. Guests can make use of the electric kettle, mini-bar and ironing facilities available in the unit. The room also enjoys views of the city. The room is fitted with a wardrobe and desk. It is complete with a private bathroom with free toiletries and bathrobe. 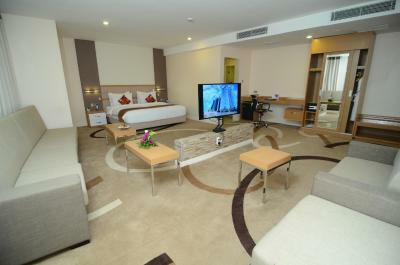 This air-conditioned family room features a flat screen TV with satellite and cable channels. Guests can make use of the electric kettle, mini-bar and ironing facilities available in the unit. The room also enjoys views of the city. 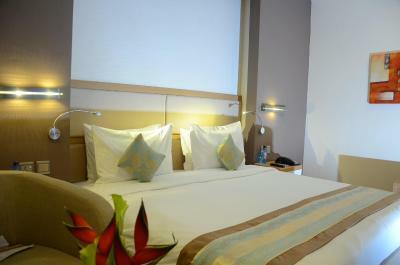 This air-conditioned double room features a flat screen TV with satellite and cable channels and sofa. Guests can make use of the electric kettle, mini-bar and ironing facilities available in the unit. The room also enjoys views of the city. The room is fitted with a wardrobe and desk. It is complete with a private bathroom with free toiletries and bathtub. The unit features a sitting area and dining area. 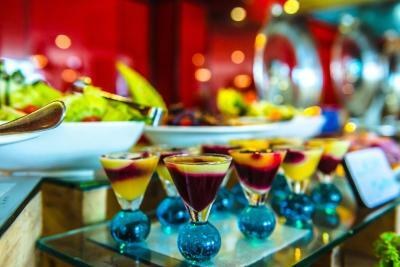 House Rules Azure Hotel Nairobi takes special requests – add in the next step! 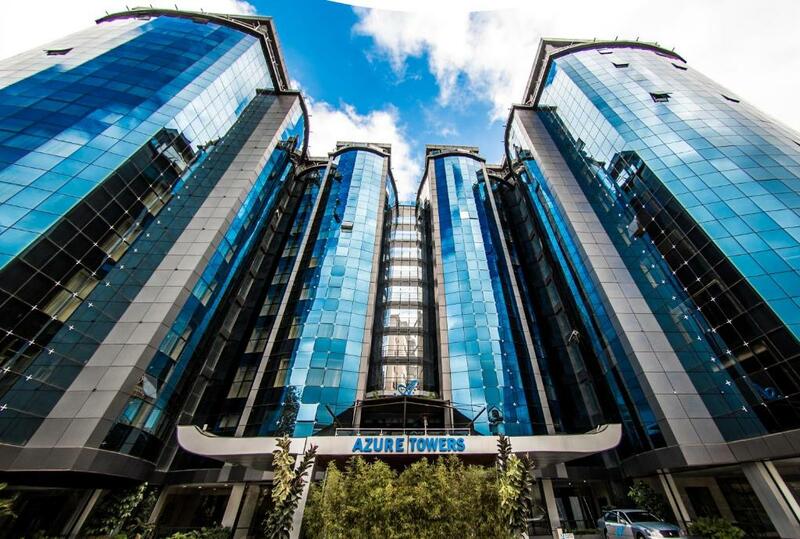 Azure Hotel Nairobi accepts these cards and reserves the right to temporarily hold an amount prior to arrival. Had a little mishap with room- but front office staff ( Purity)was quick to resolve. The bar staff by the pool are rather slow and very pushy for guests, I found this abit annoying. Breakfast is $30 per person and I found it too dry.. a Spanish omelette was cling filmed on the buffet?! No children’s menu available and the waiter advised that I order chicken wings (main menu starter) in place for chicken nuggets for a 3 yr old. The outdoor pool was not heated therefore we couldn’t swim. The location is ideal for the Westlands area. The room we had was very spacious. Very hospitable front office staff.. Elina & Alex very very helpful. I was offered a room to freshen up before we left for the airport, which was very kind and considerate. There was nothing to dislike - loved everything! 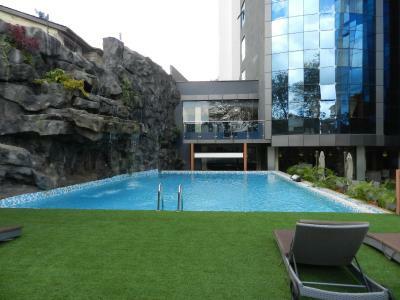 I was extremely impressed by Azure Hotel Nairobi and going forward this is going to be my home for every visit I make. Check-in was super fast and Harrison was so friendly and professional. 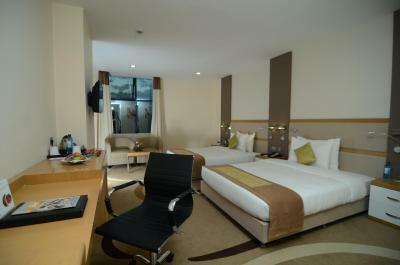 Love my room 717 which was very spacious and spotless clean. I slept like a baby 😎 Breakfast had a lot of varieties and enjoyed it big time. The swimming pool was also a great spot for me to chill after taking my email! Loved everything about my stay and will definitely be coming back soon and recommend the property to all my friends, family and key stakeholders! 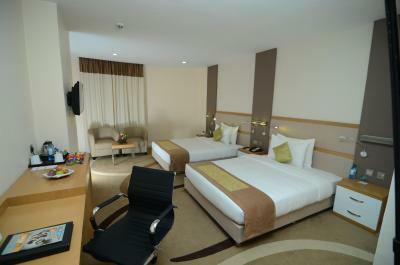 The maids ensure my room was immaculate on daily basis and the receptionist was very friendly also extremely helpful. 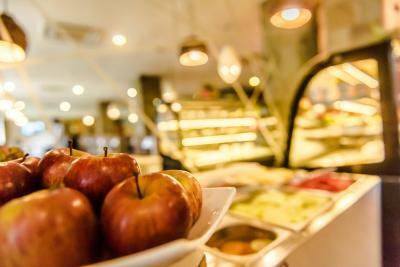 The hotel is situated at 10 min walk to Westgate mall and 20 min to the village market that so super convenient. And i got a super deluxe room with this amazing view on Nairobi.. thank to the house keeping manager🙂 she is so nice and quite responsive.